AirMD is an environmental testing and consulting company that specializes in air quality, more specifically the conditions of indoor air quality. We have dedicated our business and lives to ensuring the air quality of our client’s homes or offices are in excellent and safe living condition. We offer a wide variety of air testing from asbestos testing to mold testing, and we make it our job to ensure your safety is guaranteed. Our asbestos testing and asbestos surveys are highly recommended for anyone who is having renovations completed in their homes or offices or if they just want to know if asbestos is present. Asbestos is a group of naturally occurring minerals whose crystals form into long, thin fibers. Its unique characteristics include tensile strength, flexibility, acoustical properties, and resistance to fire, thermal, chemical and electrical conditions. Asbestos is a deadly material known to cause cancer. If inhaled, it can cause diseases such as mesothelioma, asbestosis, and lung cancer. 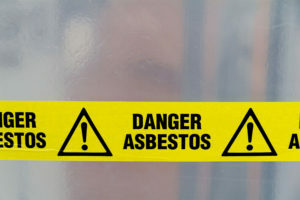 Potential exposure to asbestos occurs when building demolitions, maintenance, repairs, renovations or other activities remove, disturb or damage the Asbestos-Containing Material (ACM), causing a release of asbestos fibers. Although certain types of asbestos materials have been banned since the 1970s and subsequently, there are still over 3000 asbestos containing building materials that are legally available in the United States. Even today if you live in a newer model home, it is a good idea always to have asbestos testing and asbestos surveys conducted in your home because even today some asbestos can still make its way into building materials. The presence of asbestos puts you and your loved ones at risk for severe health complications such as lung cancer or mesothelioma. This is why it is so crucial to have asbestos testing and asbestos surveys done within your home or office. Our asbestos testing and asbestos surveys will help to locate and identify any materials that may asbestos. Call AirMD today to speak with a consultant and schedule your appointment for asbestos testing and asbestos surveys. Call 1-888-462-4763 or 1-888-Go-AIRMD. You can also look around our webpage to see what other services we offer.